New Fantasyland is now officially open, which means the adventures and dreams of Belle, Beast, Ariel, Prince Eric, Dumbo and more are now officially ours to explore. 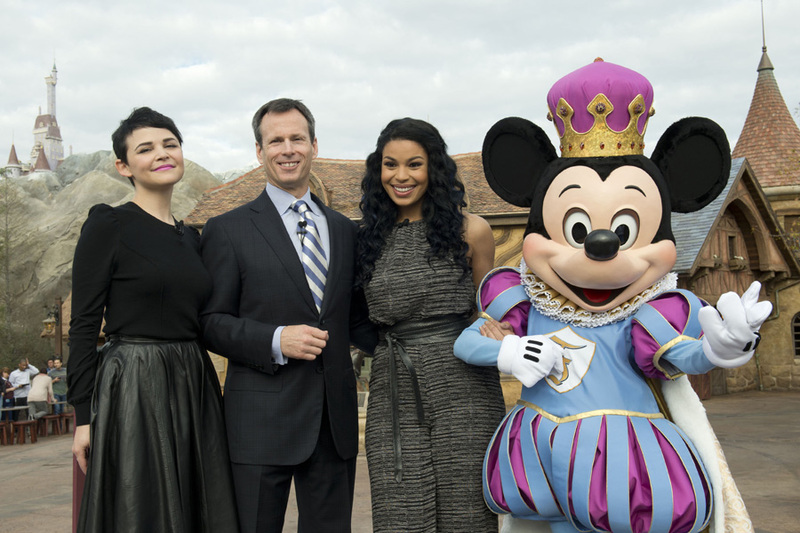 Minutes ago, a truly royal welcome was held for this new area, with “Once Upon a Time” actress Ginnifer Goodwin, pop star Jordin Sparks and Walt Disney Parks & Resorts Chairman Tom Staggs leading a grand-opening ceremony that featured Disney characters, fireworks and more. New Fantasyland, the largest expansion in Magic Kingdom Park history, has doubled the size of the existing land, with the addition of new attractions, restaurants and character greetings, including: Be Our Guest Restaurant, Casey Jr. Splash ‘N’ Soak Station, Dumbo the Flying Elephant, Enchanted Tales with Belle,Gaston’s Tavern, Pete’s Silly Sideshow, and Under the Sea ~ Journey of The Little Mermaid. As Tom Staggs shared during the grand opening, the addition of these new adventures – which were brought to life by our Walt Disney Imagineers – were inspired by Walt Disney’s vow to keep our parks fresh. Keep an eye on the Disney Parks Blog and follow @WaltDisneyWorld on Twitter for the latest on the grand opening of New Fantasyland. While you’re on Twitter, join in the conversation by using the hashtag #NewFantasyland.